Hoho Rights, the commercial arm of kids’ production company Hoho Entertainment, has been appointed as the Global Licensing Agent for multi-platform pre-school property Puffin Rock. 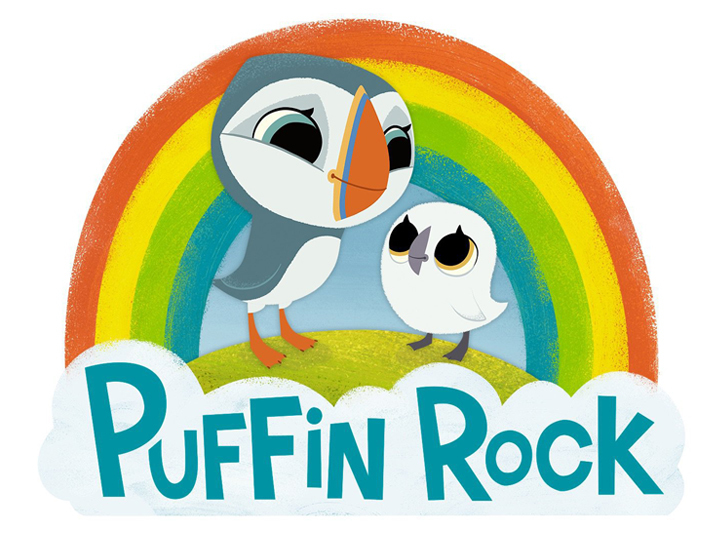 Currently airing on RTE and Nick Junior in the UK, Puffin Rock (78×7’) is a delightful, animated series about a family of puffins who spend their days exploring the natural environment of their island home. Narrated by comedy superstar Chris O’Dowd, the series is a co-production between Cartoon Saloon, Northern Irish children’s media company Dog Ears and global book publisher Penguin Random House with the support of Northern Ireland Screen and the Irish Film Board. Netflix and a number of international broadcasters including SVT Sweden, NRK Norway, DR in Denmark, RUV in Iceland and ABC Australia have already picked up the first series and a second series is currently in production for transmission in Spring 2016. Penguin Random House will also be publishing a range of books to complement the series in 2016.